We Will Keep Congress. Here's Why. The Congressional election polls are all over the map, and we have two days to go before Election Day. Real Clear Politics, the Cook Report, Larry Sabato’s Crystal Ball have outlined anywhere from 40 to 60 Republican-held House Seats in their crosshairs. As expected, they are underreporting GOP opportunities for the US Senate. Republicans have nothing to lose and so much to gain in the upper chamber. How accurate are the polls? How much faith should we place in the website metrics offered by these establishment-leaning pollsters and aggregators? Not much, in my opinion. Granted, that’s an easy argument to make right now, since most center-right pundits have argued that the pollsters were so wrong in 2016, that they will likely be wrong again. But why were they wrong? I submit that many Trump-supporting or at least Trump-leaning voters were reticent to acknowledge their support for the New York Real Estate Tycoon turned Real TV star turned Presidential candidate. But they voted for him, and he won. In addition, the core group that showed up for Trump in 2016, working class voters, particularly white voters in the Rust Belt, don’t use the more Millennial-oriented kind of hyper-modern, blitzy technology. Most working voters are too busy … working. In fact, because of Trump’s policies, they are working much more than during the Obama Administration. Manufacturing and resource jobs are up—way up. Add to that household incomes are rising along with consumer confidence and general economic outlook. The Trump-voting Democrats, working-class Republicans, and more confident Independents don’t bother redefining their lives on social media, nor do they descant on their political views every hour on the hour. With this in mind, we can rest assured that crucial voter demographics are not paying attention to non-stop, left-wing propaganda of the mainstream Fake News media and the never-ending onslaught of campaign media. What is going on with the House races, though? For better information, I have been paying attention Arizona native, writer, political data analyzer and prognosticator Larry Schweikart. He accurately predicted Trump’s victory, and he has mined the numbers—actually figures, as opposed to touch-feely polling—which maintains that Republican voter registrations have risen in key states. Early voting metrics confirm that GOP turnout is exceeding previous models. One could argue that those GOP voters are now siding with Democratic candidates. That argument doesn’t make sense, since Trump’s rallies in these states have surpassed turnout during his 2016 Presidential campaign. Now, let’s look at specific seats and numbers. For sure, Republicans will pick up at least one seat in Pennsylvania (PA-14) and three in Minnesota: MN-01, MN-07, and MN-08. The last two districts President Trump carried by double-digit margins in 2016. Based on current voting patterns out of Iowa, Second District House Rep. Debbie Loebsack is in more trouble than most realize, but no one is talking about it. That’s five more seats added to Democrats’ climb to take back the House. But Democrats are targeting eight house seats in California, too. Won’t that help them cross the threshold to victory? They are delusional for thinking they can knock out Devin Nunes of Tulare County. The district is very conservative, but more importantly Nunes is very popular, and Trump’s latest executive order on water issues has only helped him and fellow GOP incumbents Valadao and Denham. Democrats are targeting four seats in Orange County, but their only chance for a pick-up is CA-49, since OC Republicans are fighting hard to maintain their reputation as a conservative stronghold. Much of their spending has flowed into broadcasting television advertising. The expansive Southern California media market covers Ventura County to the Inland Empire, through Orange and Riverside Counties. 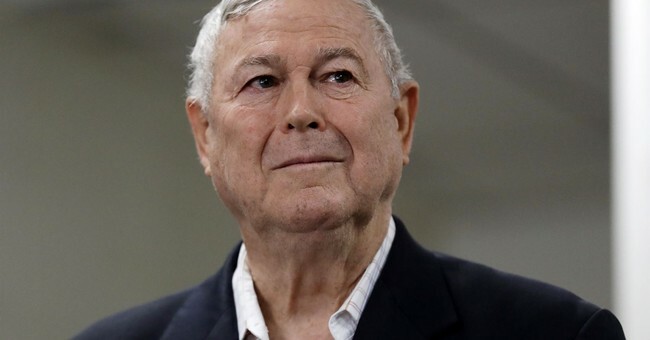 One commercial blasts conservative House Rep. Dana Rohrabacher from Coastal OC, but it’s hitting homes as far away as Victorville (where two Republicans are running in CA-08). This is wasteful spending and ineffective campaigning, both Democratic hallmarks. Rohrabacher’s early voting trends show him already 13 points ahead. I don’t see how Democratic turnout on Election Day will reverse this. The Republicans will gain seven US Senate seats, listed in order of likelihood: North Dakota, Missouri, Indiana, Montana, Florida, West Virginia, and New Jersey. Yes, I am including New Jersey, since “Mendacious” Robert Menendez’ numbers have been stunningly bad, and outsider GOP candidate Bob Hugin has done surprisingly well, forcing many pollsters to rate this race a toss-up. I wish I could add Ohio to this list, but incumbent Sherrod Brown’s pseudo-populist leanings have strengthened his brand. Wisconsin and Michigan still have a progressive Democratic undercurrent, so the federal delegations will not turn red this year. What about the House of Representatives? The Democrats will gain seven to 15 seats, falling short of a majority. They will flip three seats in Pennsylvania (because of the last-minute court-ordered redistricting), two seats in New Jersey, since that state is getting bluer by the minute, but Democrats won’t win any in California. Early voting (not polling) shows Diane Harkey doing surprisingly well against Mike Levin in their respective bids to replace Darrell Issa in that South Orange---North San Diego County district. These are optimistic projections, but the Caravan Crisis, the Kavanaugh corruption, the media’s frequently shooting itself in the foot with false headlines, plus the hollow smears again President Trump and Republicans have worn out. Voters want normalcy, and the Democratic Party is clamoring for socialism, open borders, and lawlessness. Governments exist among men to protect their rights, and the Democratic Party is running a platform of moral wrongs and Presidential aspirations. Republicans are touting “Jobs Not Mobs”, plus a clear commitment to Draining the Swamp and destroying the Deep State. Besides, the mere thought of Maxine Waters chairing any committee scares normal people, and it’s the normals who got Trump elected in 2016. Republicans are going to make history by defying history on Election Night 2018.